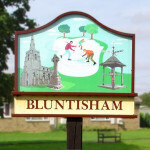 Great News……………Bluntisham Parish Council has been able to secure funding from WREN for the new playpark. See attached press release for more details. A dedicated page on the website will be created soon to provide updates on the project with start dates, equipment, costs, etc. Come and see the plans at the Open Morning on Saturday 21st May from 10 – 12pm.